These last 30 days of list writing have been hard work, but I have enjoyed every moment. Hearing feedback from each individual list has been wonderful (as well as a tad overwhelming) and I’d like to thank everyone who took time out of their days to give each list a read. I can now cross off another writing project from my bucket list, but this may not be the last time I visit the Legend of Zelda series for some countdown goodness. If you missed any one of the fifteen lists I have posted on Vagrant Rant in the last month or so, here are the links to each and every one! 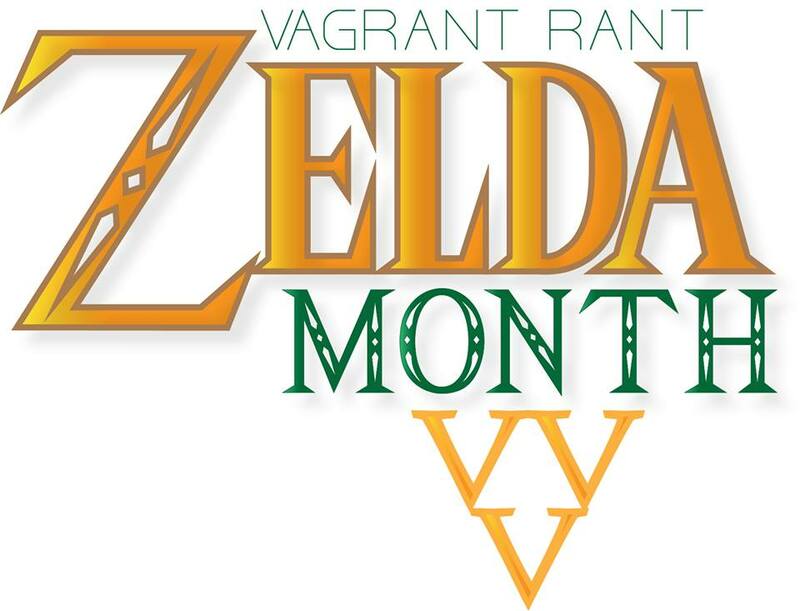 That lovely Zelda Month logo you see at the top of every list was designed by my very talented sister and one-time Four Swords Adventures ally Jenna. You can view her collection of artworks, photography and clothing designs on her blog jennamarieanne.com, if that tickles your fancy. Now if you’ll excuse me, I’m going to go play some Wind Waker HD.